At Ken Garff West Valley Chrysler Jeep Dodge Ram FIAT, our highly qualified technicians are here to provide exceptional service in a timely manner. From oil changes to transmission replacements, we are dedicated to maintaining top-tier customer service. Allow our staff to demonstrate our commitment to excellence. The Ken Garff West Valley Chrysler Jeep Dodge Ram FIAT finance team is ready to go to work for you. Our financial experts promise to find a car loan or lease option that meets your needs. Let the staff at our dealership make the process of buying a new car easy. 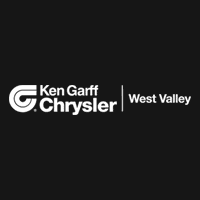 Welcome to Ken Garff West Valley Chrysler Jeep Dodge Ram FIAT, where service and value are our top priorities. We are located in West Valley, UT and we strive each day to exceed your high expectations. 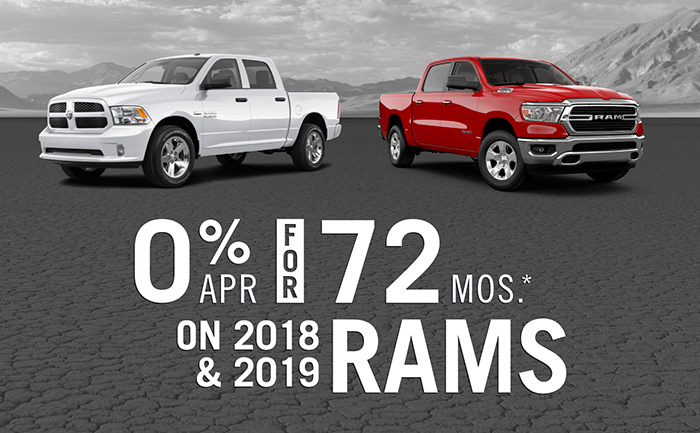 At our West Valley dealership, we offer a huge selection of new and used Chrysler, Jeep, Dodge, FIAT and Ram vehicles. Our #1 goal is customer satisfaction, so we aim to make your shopping experience the best it can possibly be. Is financing your vehicle an issue? Do you have credit issues? Our team can assist you with obtaining affordable financing on any new or used vehicle on our lot–regardless of whether you have good or bad credit. Are you a Jeep fan? Whether you are looking for a new or used Jeep SUV, parts, service,accessories, or advice, visit our Jeep Headquarters of UT! Our Jeep experts are standing by! For additional tips, see our Chrysler, Jeep, Dodge and Ram videos. Ken Garff West Valley Chrysler Jeep Dodge Ram FIAT is proud to be your Dodge Chrysler Jeep Ram FIAT dealer for the following areas: Salt Lake City, Salt Lake County, Orem, West Valley, Riverton, Draper, Farmington, Provo, Taylorsville, Layton, Bountiful, Kearns, Centerville, St George, Murray, Midvale, Clearfield, Bluffdale, and beyond! View the complete list of cities we serve! When you arrive at our car dealership, you will find all of the latest Chrysler, Jeep, Dodge and Ram models ready for a test drive with any one of our friendly, helpful, and knowledgeable sales associates. Check out our huge selection of the top new models on the market! You can even view our New Car Videos and our Used Car Videos for an inside look at the vehicles on our lot before you even come in to our dealership. If you are shopping for used cars or trucks for sale in Utah, then come to Ken Garff West Valley Chrysler Jeep Dodge Ram FIAT. We want to be your favorite used car dealer in Utah, so we will work with you to make sure you get the best deal we can offer! All of our vehicles undergo a thorough inspection by our fully-trained auto technicians. We also offer factory-certified pre-owned vehicles. We carry a huge selection of pre-owned models from some of today’s top automakers including: Ford, Chevy, Nissan, Toyota, Cadillac, GMC, Honda, Hyundai, Kia, Mazda, and more! If you can’t find your desired new or used car or truck, fill out our Vehicle Finder form and we will find it for you. When the vehicle arrives on our lot we will notify you ASAP by email. At Ken Garff West Valley Chrysler Jeep Dodge Ram FIAT we strive to keep your new or used vehicle running at peak performance. Our Ken Garff West Valley Chrysler Jeep Dodge Ram FIAT Service Center serves all of your vehicle maintenance needs! Whether you need extensive repairs or preventive service, such as an oil change, Ken Garff West Valley Chrysler Jeep Dodge Ram FIAT is your one-stop service destination. Our expert auto technicians use state-of-the-art equipment to keep your car running like new. We have one of the most comprehensive inventories of car parts in Utah. Order online and we’ll contact you when they arrive, you can place your orders here: Dodge Ram Parts. Searching for a tire center in UT? At our Dodge Chrysler Jeep Ram FIAT Tire Center, we offer competitive prices on all tires and tire services. Need a new battery for your Dodge Chrysler Jeep? At Ken Garff our Battery Center is stocked with batteries for every model we offer! At our dealership Brake Center, we feature certified technicians with the professional experience that you know you can rely on every time! Compare our prices with Firestone, Midas, Meineke, and others. Trust Ken Garff Chrysler Jeep Dodge for all your Dodge Chrysler Jeep service, parts, maintenance, and repair needs. We’ll fix your Dodge, Chrysler, or Jeep right the first time! Are you wondering about financing for your next new or used vehicle? Ken Garff West Valley Chrysler Jeep Dodge Ram FIAT offers auto financing for your vehicle purchase at the same location. There is no need to find a car loan somewhere else, the DodgeHQ Financing Department is in-house and will work with you to quickly and easily secure financing for your vehicle. We offer a variety of auto loan packages, including packages for Bad Credit loans! Learn how easy it is to obtain Auto Car Credit in Salt Lake.